The Scottish War Graves Project :: View topic - Different Style CWGC Headstone. 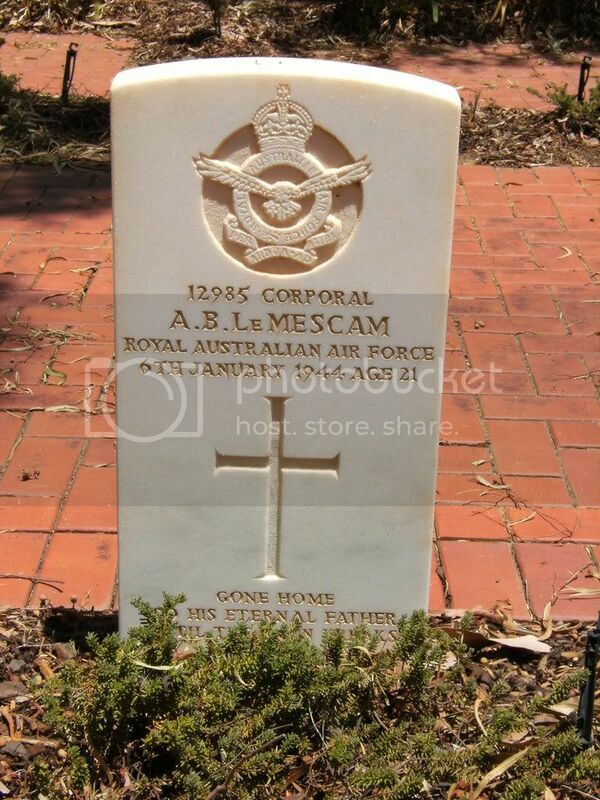 Posted: Sat May 17, 2008 1:47 am Post subject: Different Style CWGC Headstone. Hope I have done this correctly to photobucket. Thought this design may be of interest. Has anyone seen any of this type? 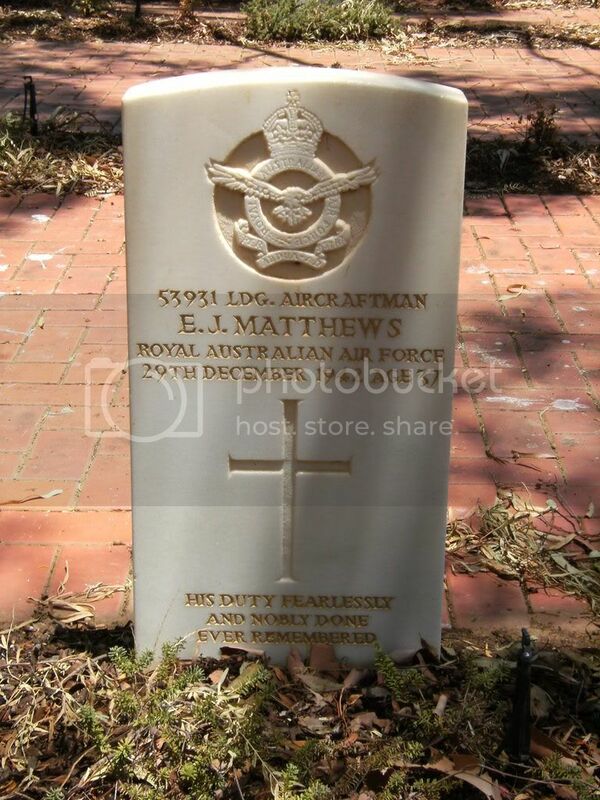 Posted: Sat May 17, 2008 7:04 am Post subject: Re: Different Style CWGC Headstone. Edited your post for you. You need to use the IMG tags rather than the URL ones. The image comes up beautifully. I certainly don't recall seeing gold painted lettering before. I wonder if it is a privately funded enhancement? The stone looks a little odd as well, in the photo it looks more like marble than the usual Purbeck stone - is it possible that the whole thing is a private headstone made in the CWGC style? It's off topic for GWF but you could always try mailing CWGC or send a PM to Terry on GWF to see if they have any thoughts. The entire war cemetery is in that style. Location Information: Deniliquin is on Cobb Highway in the southern part of New South Wales. It is only 43 miles from the Victorian border. It is 188 miles from Melbourne. The cemetery is 2 miles from the post office. 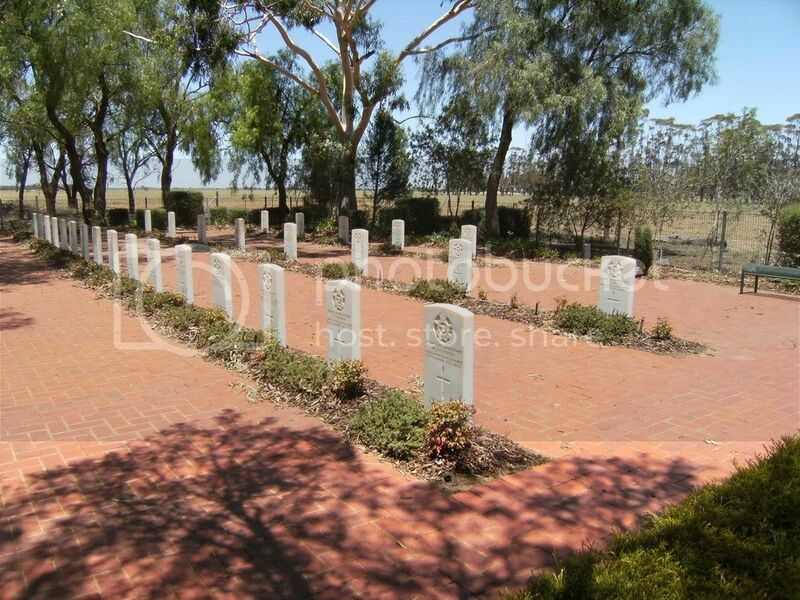 Apart from this cemetery are other graves in New South Wales like this? Here are the details for the airman buried in the grave in the photo. Additional information: Son of George Cole Matthews and Elizabeth Jane Matthews; husband of Florence Evelyn Matthews, of Finley. Grave/Memorial Reference: Plot D. Row A. Grave 6. These are a couple more from the same cemetery. I've never seen headstones like this before - they look like marble? It is marble and they are used only in Australia. Originally Ulam marble was used but this has been replaced by Chillagoe.